Get Focused 30 Supply Now! "The Flip" Hardback Book Now! Become a Dropshipping Beast "Sunday School"
How To Get Funded REPLAY! "Branding Beast"How To Get Into Magazines Without PR! SUBSCRIBE FOR MY YOUTUBE NOW! 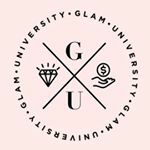 Virtual Accountability Partner Membership "30 Days of Glam University"